I’m not going to lie, when it comes to hair, I’m a pretty lucky guy. Of course, I spend a fare amount of time blow-drying it and styling it before I go out (hello! nobody’s perfect) but other than that, my hair is actually in ‘good shape’, has great volume and texture… Needless to say, my barbers really enjoy cutting it! On the other hand, having great hair doesn’t mean I get a free pass; I still have to take care of it. 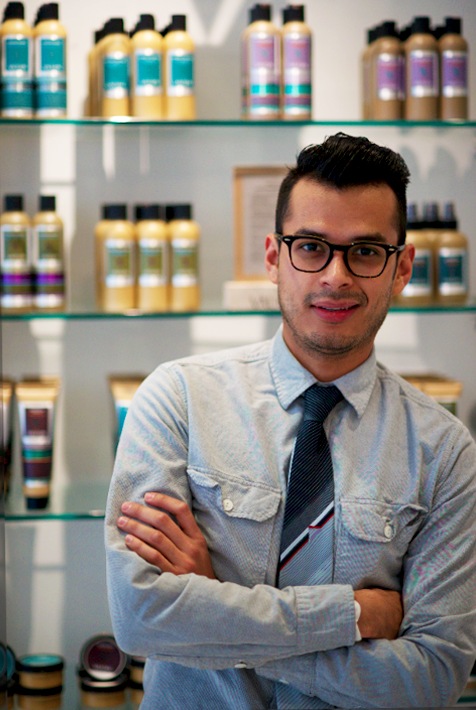 And the key to accomplishing that effortlessly sleek look you see on celebrities like David Beckham or male models like David Gandy relies on using good-quality products. For that reason, I was overly excited when my dear friend Ray Symons invited me to mizu Salon to test a new product out: V76 by Vaughn. 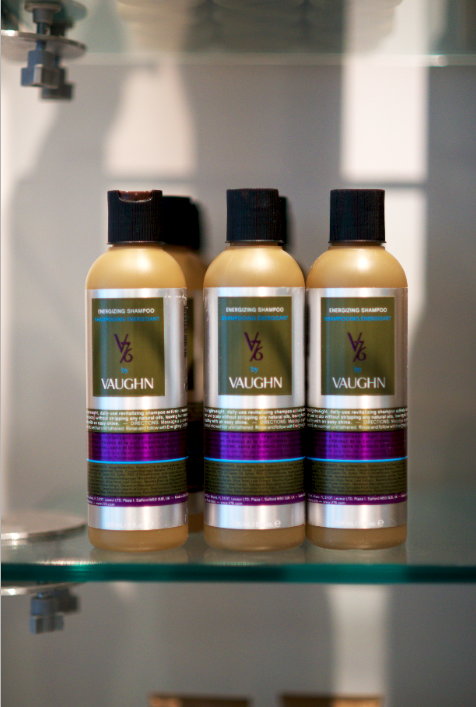 Created by hairstylist Vaughn Acord, known for grooming some of the world’s most famous men (from Bruce Springsteen to Tom Brady to President Bill Clinton) V76 by Vaughn celebrates the tradition of men’s grooming with an American sensibility. 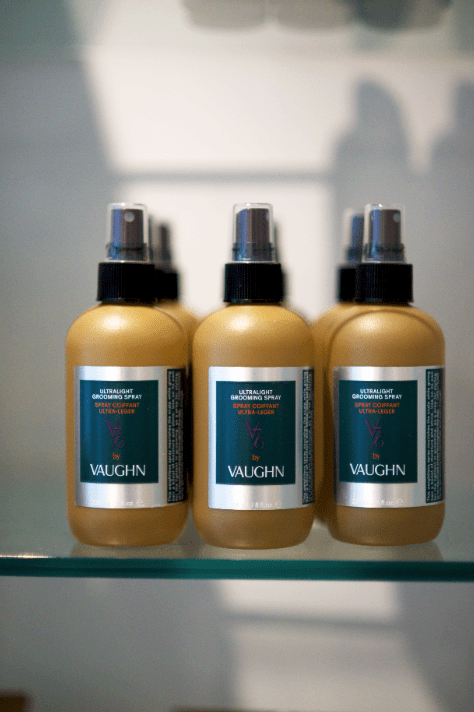 The V76 by Vaughn collection focuses on the whole man, including hair, shave, face and body. Isn’t that fantastic? 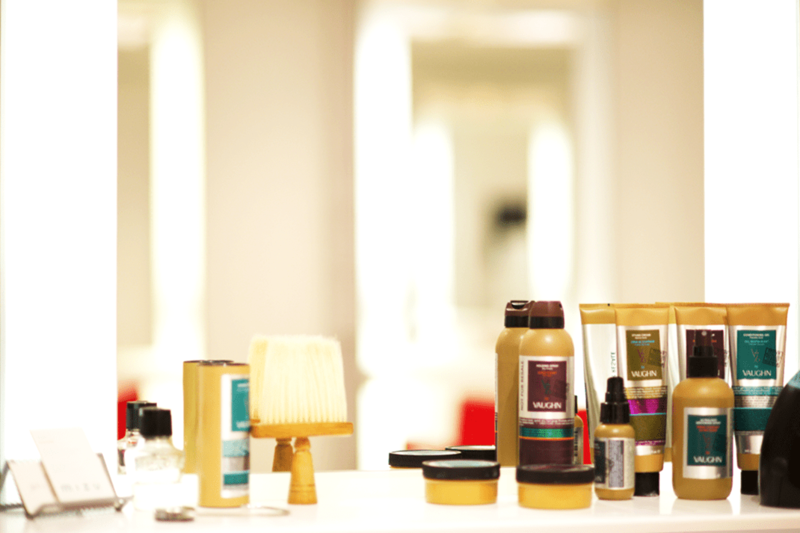 Finally a line of products tailored to the needs of the modern man made by a men’s grooming expert. – 100% satisfaction guaranteed. As you can see, I was desperately in need of a haircut! 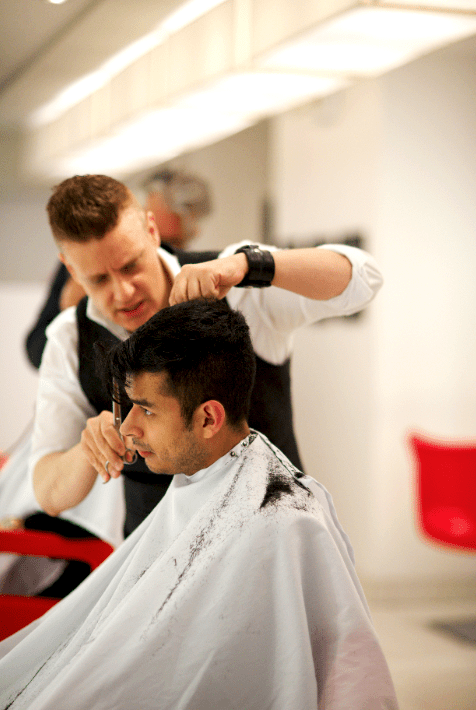 As prep for cutting Ray used the Ultralight Grooming Spray and instead of using clippers he used a classic scissor over comb technique to build the shape around the head – for a more polished feel. 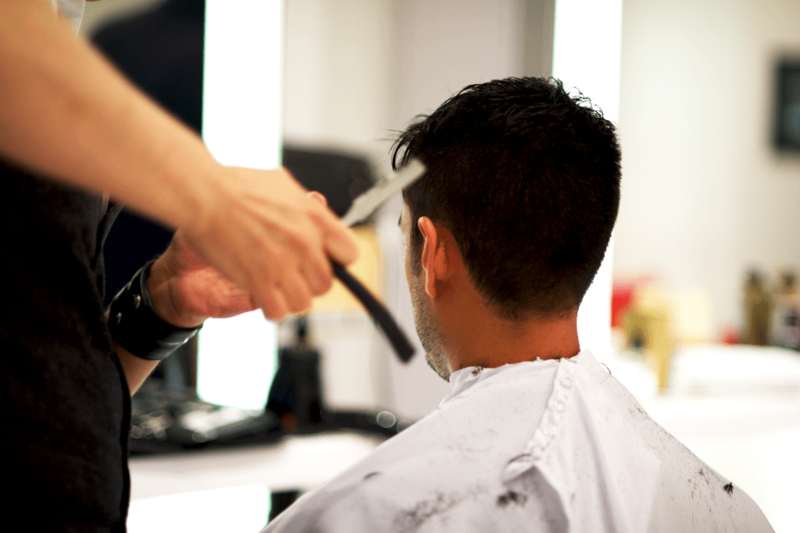 Then he worked with a straight razor where the head rounds off to blend and on top to give the hair a “lived in”, separated feel. 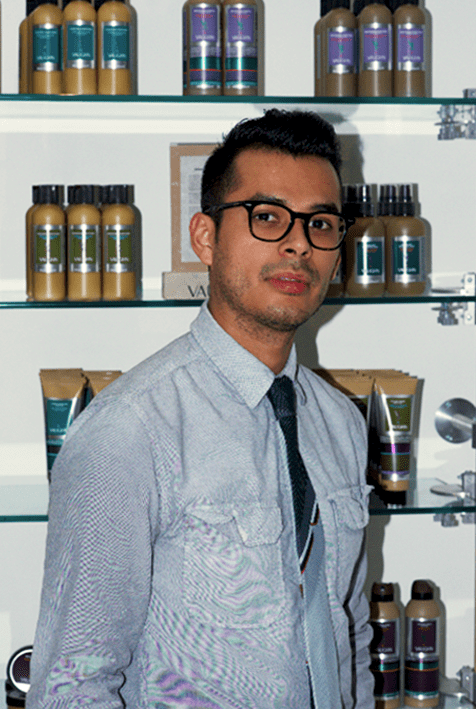 He finished up by using the Control Balm Strong Hold to keep my hair perfectly styled and in place. – Good job mate! Would you like to have cool hair like mine? Visit www.v76.com and explore the full V76 by Vaughn collection.